Browse > Home / Featured Articles / Can Gantz unseat Netanyahu? 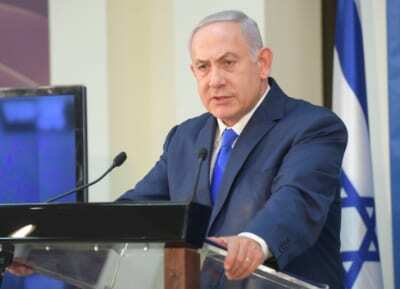 Political parties in Israel have recently kicked off their campaigns ahead of the April 2019 elections, a time in which public tension is rising rapidly and which appears to be becoming increasingly contentious. Benny Gantz on Tuesday launched his Hosen LeYisrael (Israel Resilience) party’s campaign with great fanfare, eliciting condemnation from the right which said that the views he presented were left-wing, and criticism from analysts who said that the messages he conveyed were essentially empty. Gantz, a former IDF chief of staff, has so far mostly remained silent and has not expressed his views, while his party’s numbers in the polls have soared. The latest polls show that his party would be the second largest in the Knesset, and under certain circumstances, he could be the one to create a coalition and by doing so, unseat Netanyahu as prime minister. Asked about the viability of such a scenario, Amichai Attali, Yedioth Aharonoth’s political reporter at the Knesset told TPS that it is hard to tell at this point, but an analysis of Netanyahu’s party’s response to Gantz shows they are definitely fearing such an outcome. The Likud’s response, in its messages and media, shows that it has changed its response from indifference to Gantz to one of constant attacks on him. How can Gantz threaten the Likud? Attali thinks that by trying to market his party as a centrist-right wing party, Gantz is hoping to wrestle away some of the Likud’s votes. Gantz is doing so by signing on members with right-wing views, such as former minister of defense Moshe Ya’alon. Attali noted that since the signing of the Oslo Accords in 1995, and even more sharply after the Second Intifada in 2000, the Israeli public has shifted to the right and has become more supportive of conservative ideas. Only two parties currently openly espouse left-wing views – Meretz, and the Joint Arab List. Therefore, Gantz can garner support if he steers to the right. Another element that could bring to Netanyahu’s downfall is the multiplicity if right-wing parties, several of whom may not make into the Knesset. If many right-wing votes are lost to parties who don’t make it past the vote’s threshold, Netanyahu could be facing a real problem in creating a coalition, Attali pointed out. The numbers in the polls fluctuate almost daily, and with a bit more than two months to go, all options are still open. Benny Gantz was a very effective Head of the IDF, to date his public performances as a potential political leader of Israel have been lacklustre , many motherhood statements no policies to distinguish himself from the ruling coalition.